F&M FANTAVATAR & MOONSTRUCK has been established in Second Life at the end of 2007 by Luna Barak. 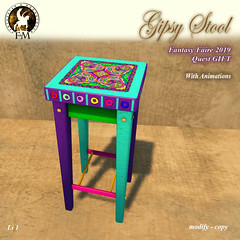 Creations under this brand cover a wide range of items: female and male clothes, shoes and accessories – fae scripted wings and outfits – furnitures, cottages, treehouses, boats, trees, roleplay props and vagons – complete fantasy avatars. 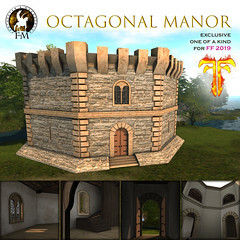 [ Oblivion ] hair have been established on 2013, as to meet the needs of roleplay people who were searching for a more realistic historical hairdressing and became part of F&M on 2016 changing its name in F&M Oblivion.